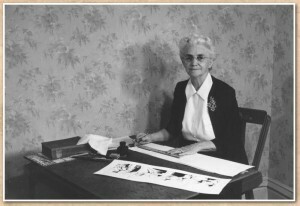 Fanny Cory was born in Illinois in 1877. Following her mother’s death, her father moved the family to Helena where young Fanny—who “could not remember any time in her youth when she was not interested in drawing”—studied with the highly regarded, European-trained artist and educator Mary C. Wheeler. With Wheeler’s encouragement, after graduating from high school, Fanny followed her cartoonist brother, Jack Cory, east to New York. Years later, she remembered, “She [Wheeler] and I thought I was quite wonderful, but in New York they didn’t think so.” Fanny, however, was not easily deterred from pursuing her dream of becoming an illustrator. Her ailing sister Agnes accompanied her on her move east. With Jack’s help, Fanny enrolled at the Metropolitan School of Fine Arts in New York City and joined the prestigious Art Students’ League. When Agnes’s health deteriorated, however, Fanny left school, determined to find work that would enable her to take care of her sister. 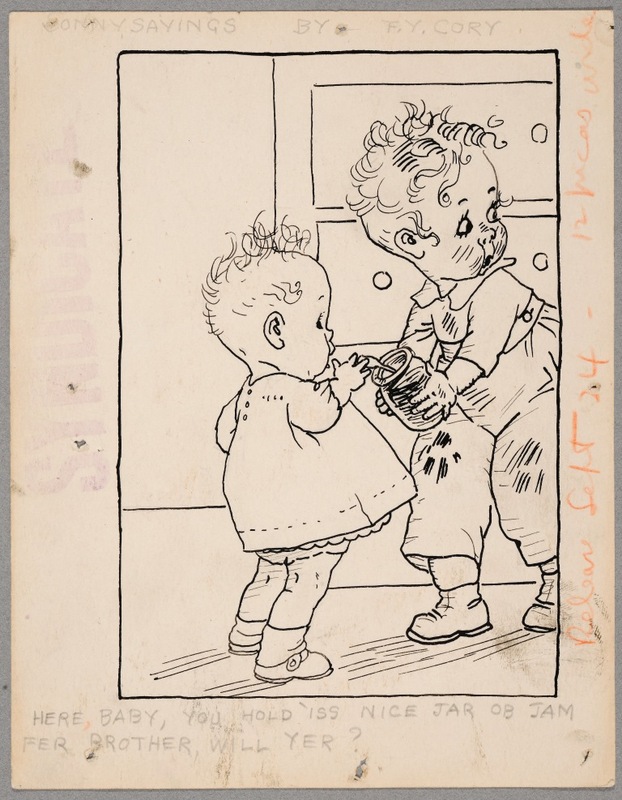 She pounded the streets of New York, portfolio in hand, until St. Nicholas Magazine bought a drawing from her. “I was taken aback,” she later recalled, describing the editor’s offer of twelve dollars for the illustration. I “hesitated to tell him I thought it too much,” she continued, so “he kindly reduced it to ten dollars.” By 1897, Fanny was selling her illustrations regularly to St. Nicholas Magazine as well as other national periodicals, including Harper’s Bazaar, Scribner’s, Youth’s Companion, McClure’s, and Saturday Evening Post. 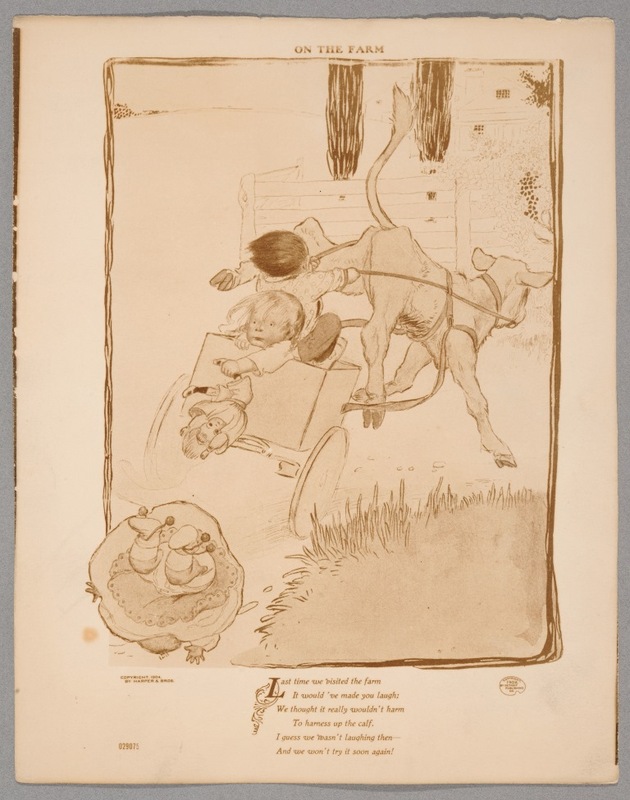 In addition, she received commissions to illustrate a number of books, including two works by Frank Baum—The Master Key and The Enchanted Island of Yew—as well as a 1902 edition of Lewis Carroll’s Alice’s Adventures in Wonderland. 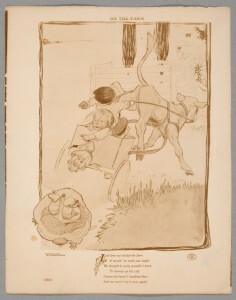 Almost all of her illustrations were either for or depicted children, and critics praised her original style and her wry humor. When Agnes died in 1902, a bereft Fanny returned to Montana. Two years later, she married Fred Cooney, who owned a ranch on the Missouri River near the community of Canyon Ferry. Finding the story of the rancher and the illustrator newsworthy, the Minneapolis Tribune covered their union in a lengthy article titled, “Romantic Marriage of the Girl Who Draws Cute Babies: Won like the Heroine in a Melodrama.” Initially, Cooney attempted to pursue her career as an illustrator, but, following the births of her three children-—Sayre, Robert, and Ted—the demands of motherhood took precedence and, according to author Douglas Green, she “illustrated only those books which had a special appeal to her.” This changed in the mid-1920s when, spurred by the need for money to send Sayre to art school and the boys to college, Cooney decided to return to work. 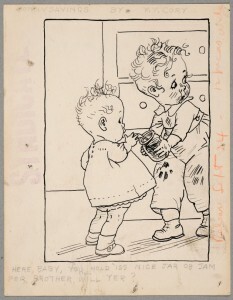 At Jack’s suggestion, instead of focusing on illustration, she turned her attention to creating a newspaper cartoon, and Sonnysayings was born. Interested in learning more? Read Bob Cooney and Sayre Cooney Dodgson’s article,“Fanny Cory Cooney: Montana Mother and Artist,” published in Montana The Magazine of Western History 30, no. 3 (Summer 1980): 2-17. You can find links to the full text of all Montana The Magazine of Western History articles relating to women’s history here. Cooney, Bob, and Sayre Cooney Dodgson. “Fanny Cory Cooney: Montana Mother and Artist.” Montana The Magazine of Western History 30, no. 3 (Summer 1980): 2-17. Cory, F. Y. A Fairy Alphabet. Helena: Riverbend Publishing, 2011. Green, Douglas G. “Fanny Y. Cory.” Baum Bugle, Spring 1973. “Illustrator Visits Admirer: Creator of ‘Sonnysayings’ in Capital on Way to New York.” Washington, D. C., Evening Star, undated. “Indianapolis Has More than a Reading Claim on ‘Sonny,’ Appearing in the Star.” Indianapolis Star, March 30, 1930. King, Judy. “Fanny Cory Cooney Visiting Son and Family in Helena.” Helena Independent Record, July 23, 1961. Robbins, Trina. 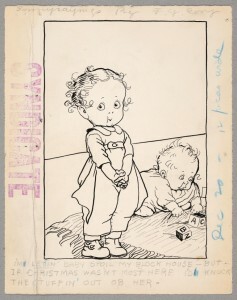 Pretty in Ink: North American Women Cartoonists, 1896-2013. Seattle: Fantagraphics Books, 2013. 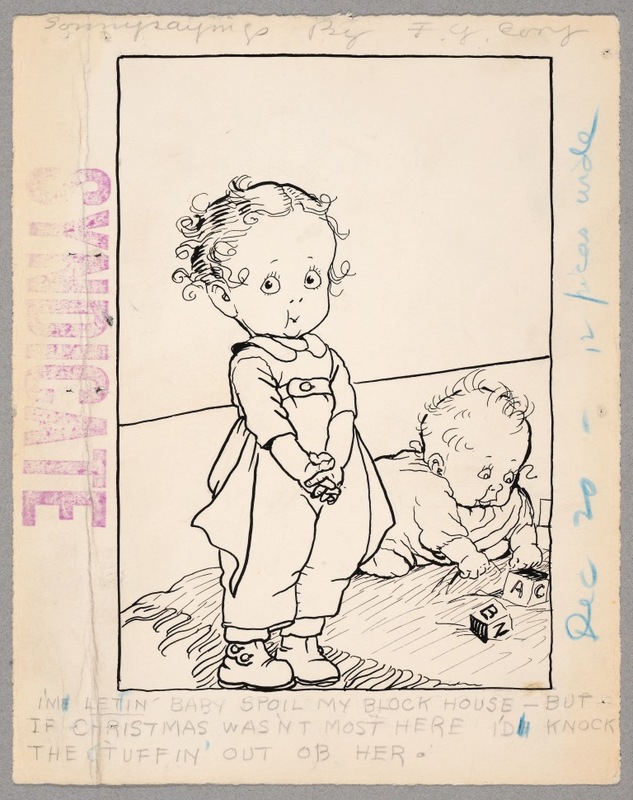 “Romantic Marriage of the Girl Who Draws Cute Babies: Won Like the Heroine in a Melodrama.” Minneapolis Tribune, May 1, 1904. Walter, Dave. “Fanny’s World: The Life and Art of Fanny Cory Cooney.” Montana Magazine, May-June 1988, 4-12 .